Local businesses form the fabric of a community. Quality, stable jobs that support families and the local tax base. Charitable donations and leadership in civic organizations. Profits stay in the community, leading to better schools, parks, and local services. Local businesses operate more efficiently, conserving precious natural resources. On average, small businesses make up more than half of our nations Gross Domestic Product, or almost $7 trillion. In recent decades, massive national chain stores, or “big boxes”, have had a tremendous impact on local economies. Major national retailers have sprung up on every corner, while the local, independent businesses that built our communities are gradually disappearing. Profit dollars leave the community and go to a nameless, faceless corporate entity. Chain retailers hold communities hostage by threatening to move to another location if their demands of favorable labor and tax positions are not met. If they do pull out, the whole of the local economy collapses. Big boxes create the illusion of low prices by using advertised specials to lure consumers into the stores. They then make up the profit margin on the things you need for the daily operation of your business. A recent review of pricing practices at major office suppliers found over 10,000 items at list price or greater. Chain retailers have full time departments dedicated to studying consumers’ buying habits in order to manipulate prices, with the goal of extracting the most money from their customers while giving the customer the misconception that they are getting the lowest price. At Huffman’s Office Equipment, our low overhead costs allow us to offer competitive pricing while maintaining the personalized service and attention to detail that you expect from a local supplier. Here are a few things which we believe set us apart. Customization of your ordering, delivery, invoicing, and payment processes to meet your unique business needs. Huffman’s is your ONE-STOP-SHOP for supplies, furniture and office machines. Toll free phone and fax numbers. Online ordering with control, monitoring, and usage reports. Knowledgeable, professional staff that are committed to providing the best service in the industry on everything we sell. Free delivery and installation of all office furniture by Huffman’s employees. Free office design and CAD services for one office or 100. Huffman’s services everything they sell. Honest knowledgeable sales people at your service. 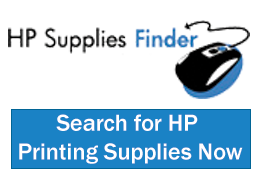 Free next day delivery with a 96% fill rate on office supplies.